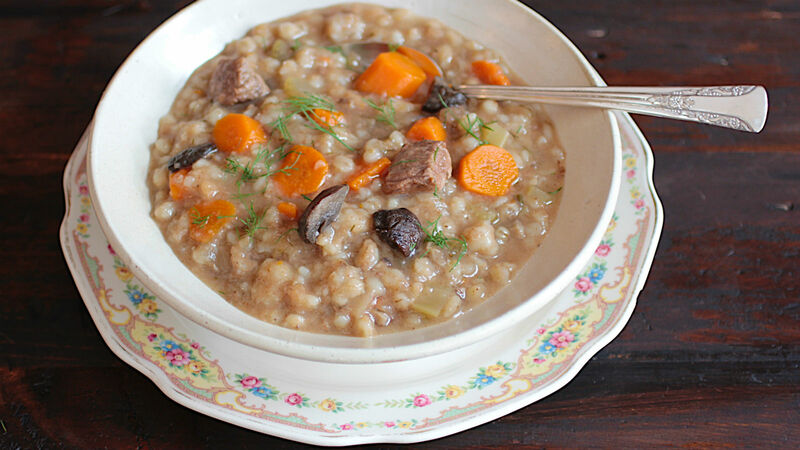 This gently seasoned beef and barley mushroom soup is a cold weather classic. The simple ingredients come together to form a comforting, glistening and nutritious dish that will fill your home with aromas like what you remember from grandma’s kitchen. A bit about texture: Barley absorbs liquid. 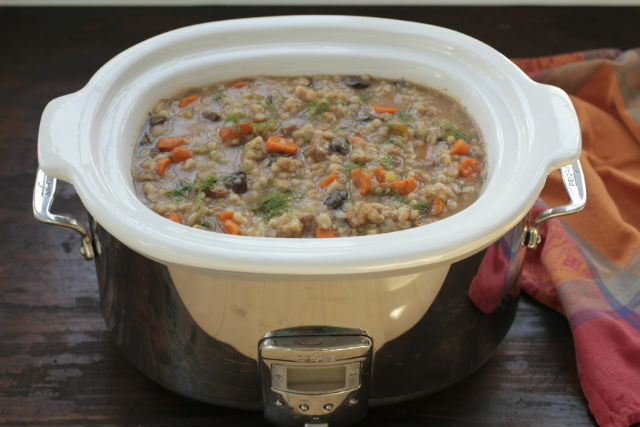 It’s just a fact of barley soup life that you’ll need to add hot liquid (slowly) to achieve the right texture when serving. This soup is rich enough that using a few tablespoons of water will not effect the flavor. Note: Do not open slow cooker while it’s simmering. When a lid is cracked it loses 20-25 minutes of valuable cooking time. Try and resist!